iP3: Apple in Talks to Launch Music Subscription Service? 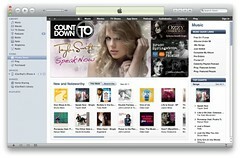 Apple in Talks to Launch Music Subscription Service? Apple is reportedly in talks with labels about launching a subscription music service that would let customers have access to unlimited songs for a monthly fee, according to The Post. Apple iTunes boss Eddy Cue was on the phone with music honchos as recently as a few weeks ago trying to figure out how the partners can move forward. One source said the service could have tiered pricing ranging from $10 to $15, although there are issues to be ironed out, including how much music would be included in each tier and how long consumers would be able to access that content. Labels are said to be supportive of the idea. Previously it was rumored that Apple was working on a streaming service for iTunes; however, licensing negotiations may have delayed this offering.